23. Social Media and Digital Marketing wizard. Football Fanatic specifically NFFC. Likes Pokemon, Harry Potter and Game of Thrones. What is each teams nickname? If you want to show off your sports knowledge to friends this World Cup, we’ve got you covered. The nicknames range from the simple, such as Switzerland’s “La Nati,” which means “the national team,” to more elaborate ones, such as England’s “The Three Lions,” an homage to the Royal Arms of England. All of the names provide interesting bits of trivia about their respective countries. In honor of the national animal of Algeria, the national team is “Les Fennecs,” the small, nocturnal foxes native to North Africa. 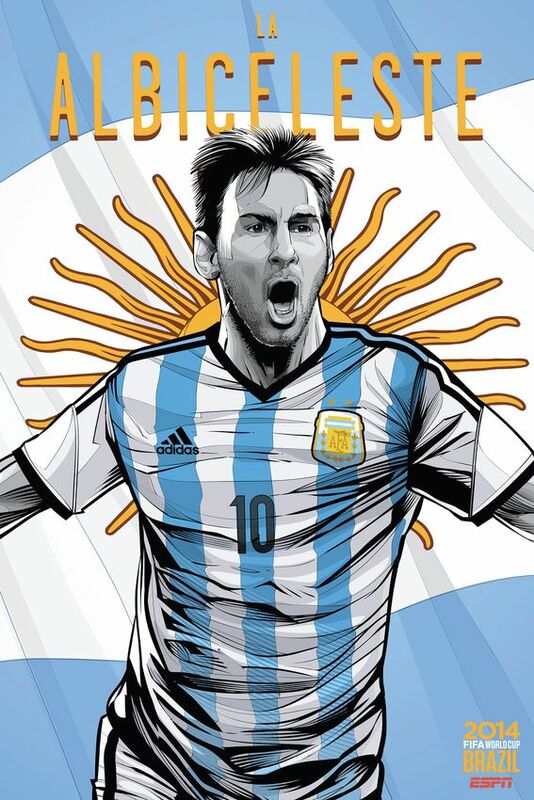 As beautiful as it is eloquent, “La Albiceleste” means “The White and Sky Blue,” and refers to Argentina’s famous striped uniforms. 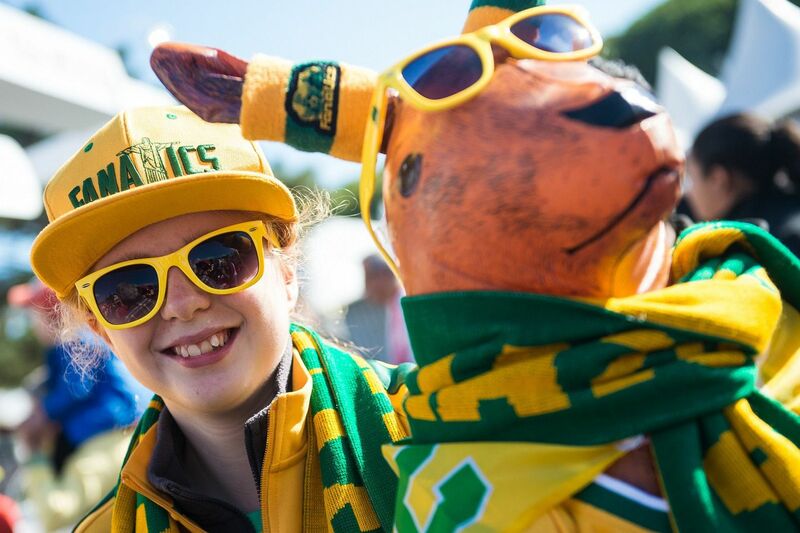 This is probably the kookiest nickname: Australia’s national team combines “soccer” and “kangaroos.” Now, you’ve got yourself the Australian squad. 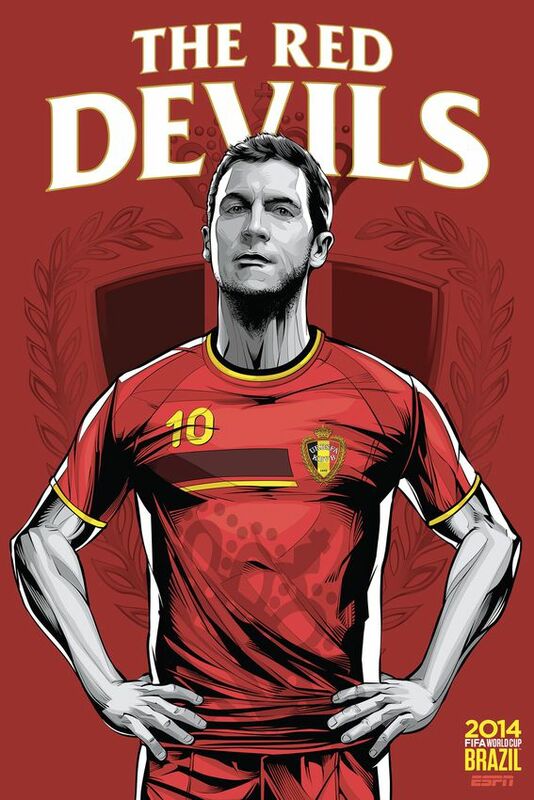 The Belgians are known affectionately in all three of the country’s spoken languages — Dutch, French and German — as “The Red Devils.” The name was coined when a journalist called the Belgian squad “The Red Devils” after three “devilish” wins in 1906, just two years after forming. Like Belgium, Bosnia and Herzegovina owes its nickname to a commentator who called the players “zmajevi” or “dragons” in 2010, and the name stuck. 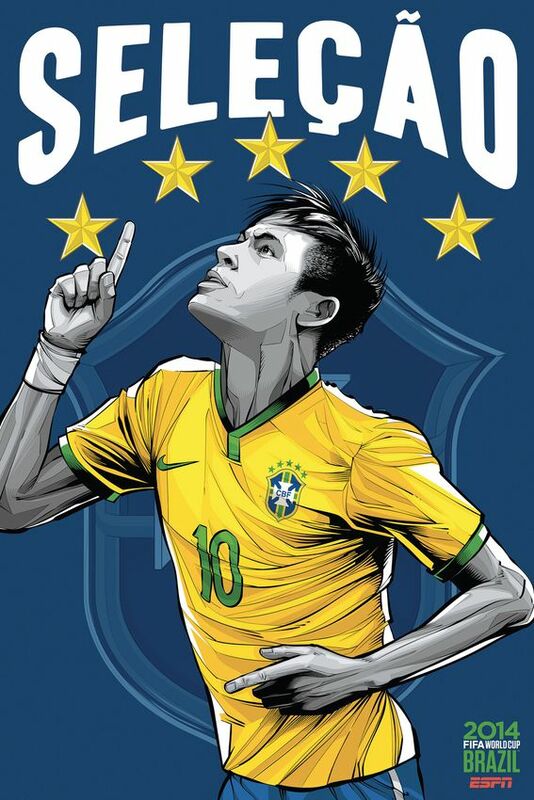 “The Selection” is Brazil’s nickname because it’s what Brazilians call every soccer team: a “seleção. 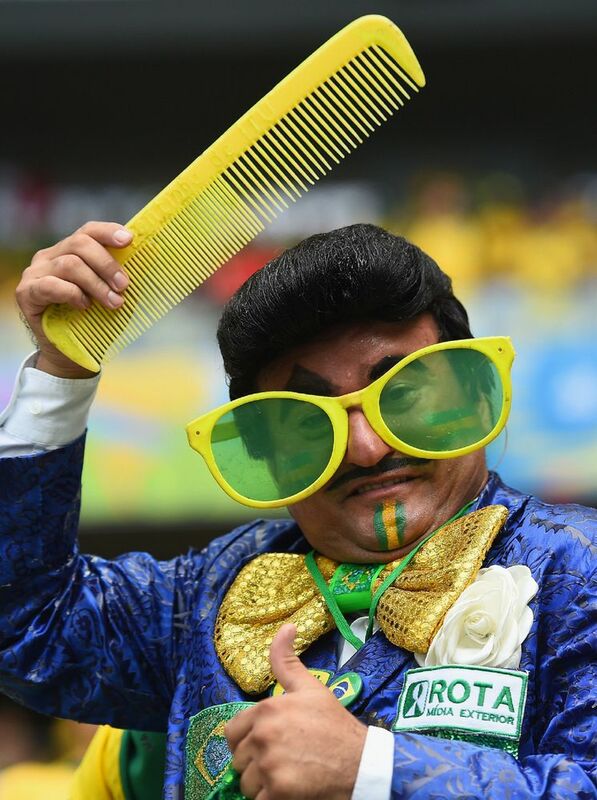 But only the national team is “the “Seleção.” Brazil is also known as “Canarihno” (“Little Canary”) due to the team’s bright yellow uniforms. 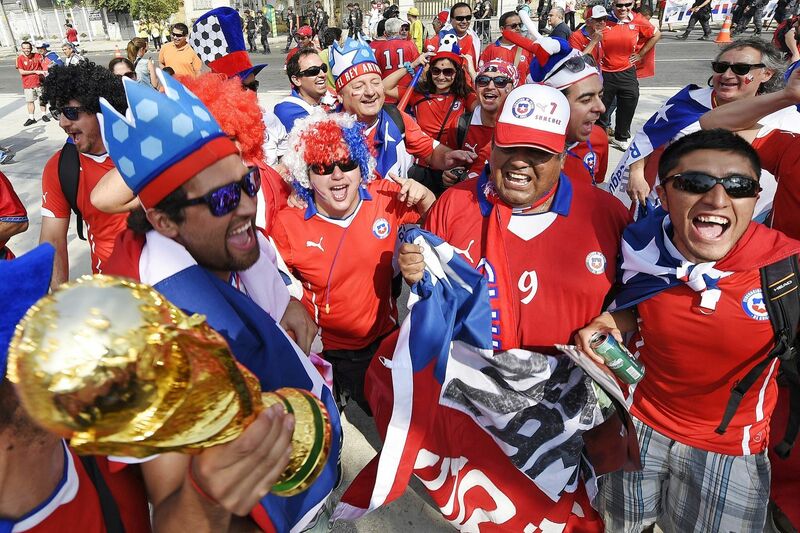 The Chileans prefer simplicity, earning their nickname from the team’s notable red uniforms. 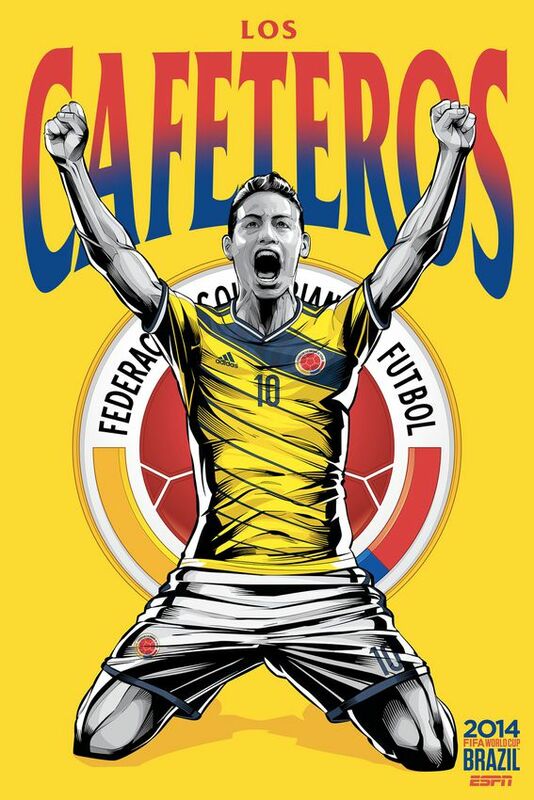 “Los Cafeteros” loosely translates to “one who makes or drinks coffee,” and Colombians do both. 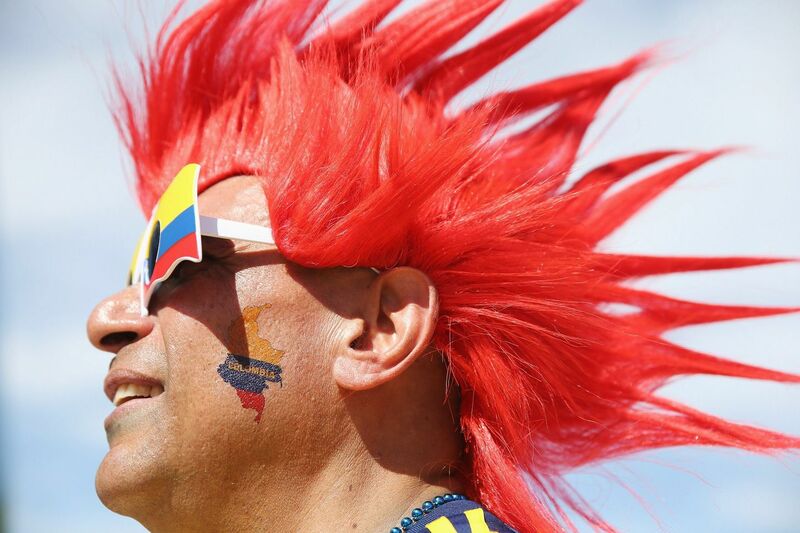 The national team is nicknamed after one of Colombia’s biggest exports: coffee. 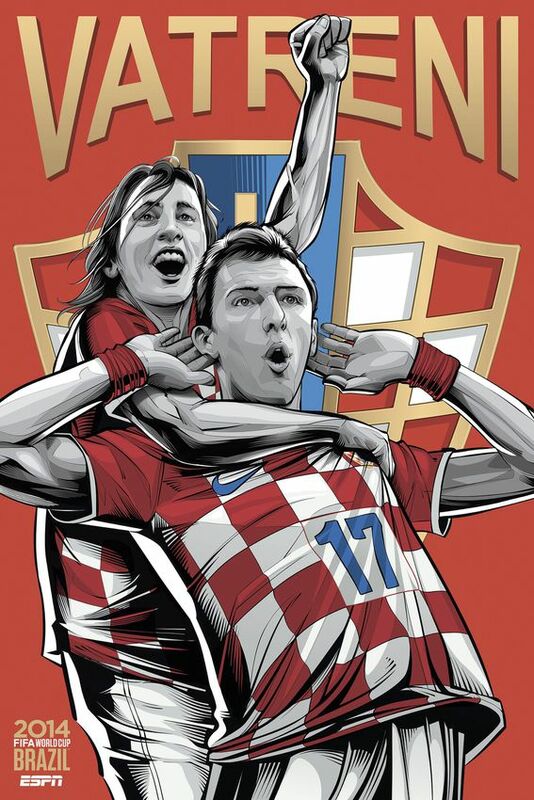 “Vatreni” means “The Blazers” in Croatian, a nod to both the passion of the players on the pitch and the fans in the stands. Lately, Croatia is also known as “Bilic’s Boys,” a reference to the team’s head coach, Slaven Bilic. 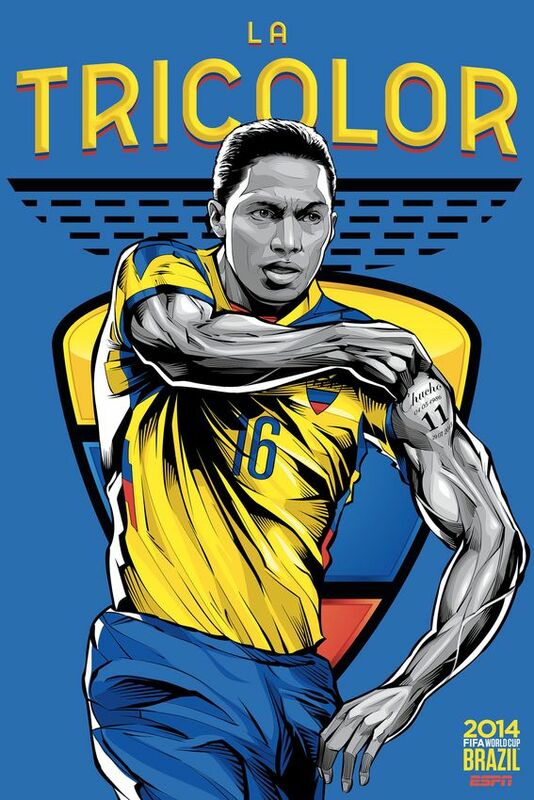 “La Tricolor” refers to the three colors of the Ecuadorian flag: yellow, blue and red. England’s namesake refers to the country’s rich history, going back to Richard the Lionheart, the King of England from 1189 to 1199. 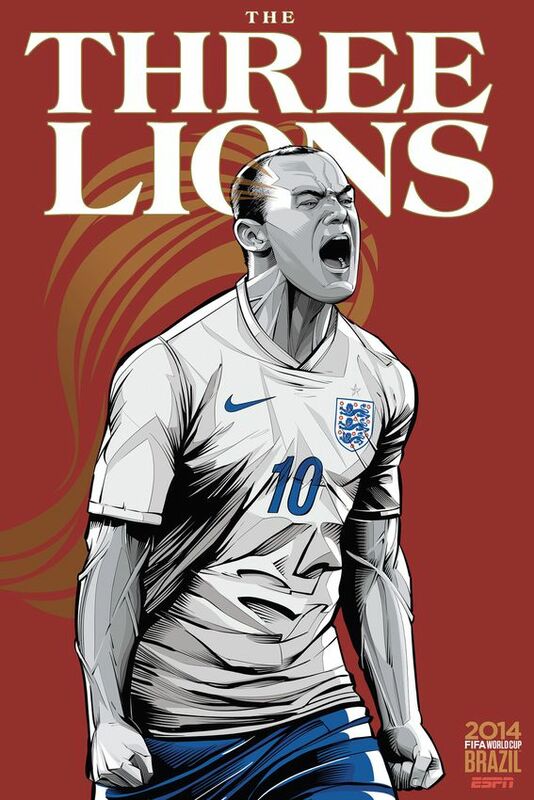 The three lions that appear on the national team’s crest also appear on the Royal Arms of England. The boys in “bleu” got their nickname because the color dominates the French team’s uniforms. It’s even a nickname for most teams across French sports. 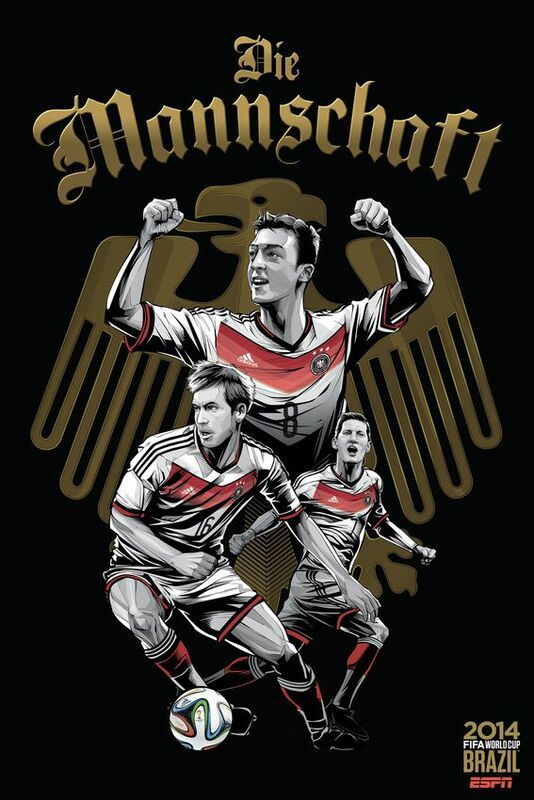 Call it German efficiency: “Die Mannschaft” means “The Team” in German. Simple, practical and formidable when spoken. 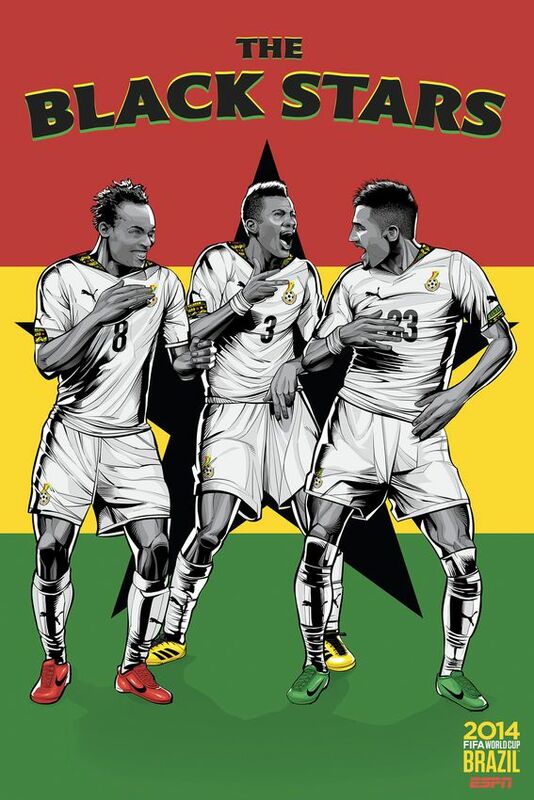 A refrence to the sole black star on Ghana’s national flag, the players of the national team are stars to their fans. “Ethniki” or “national” is Greece’s nickname. 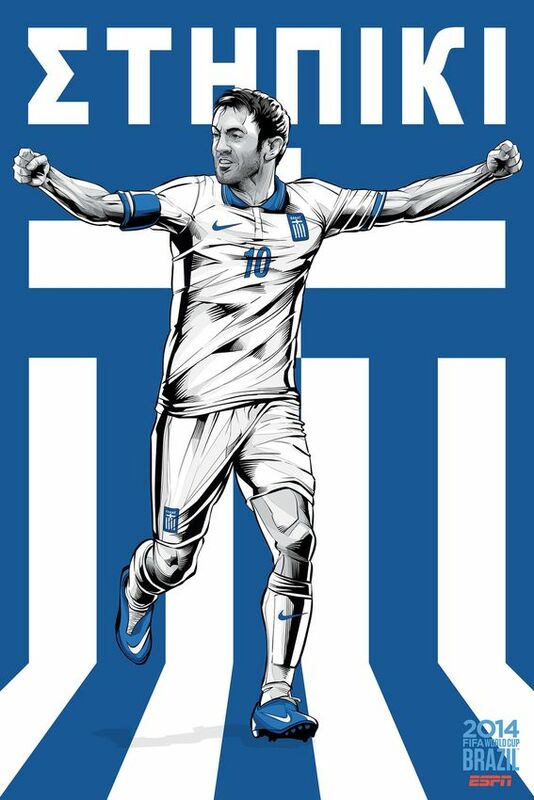 The Greek team is also known as “Piratiko,” after a Greek radio broadcaster who christened the team with the name during the opening ceremony of UEFA Euro 2004. “Los Catrachos” is the name for native Hondurans, derived from General Florencio Xatruch who fought an American insurrectionist’s attempts to reintroduce slavery. Xatruch’s men were called “xatruches,” which then became “catruches,” and so on. Like France’s team, “Azzurri” means “the blues.” Though not part of the national flag colors, blue was the color of House Savoy which unified Italy in 1861. 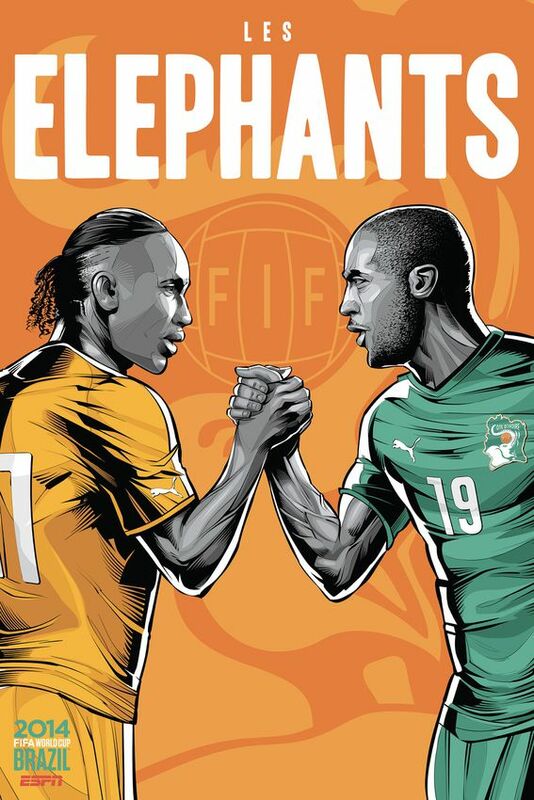 Ivory Coast; ivory tusks. The national team is named “Les Elephants” due to their part in the 19th century ivory trade. 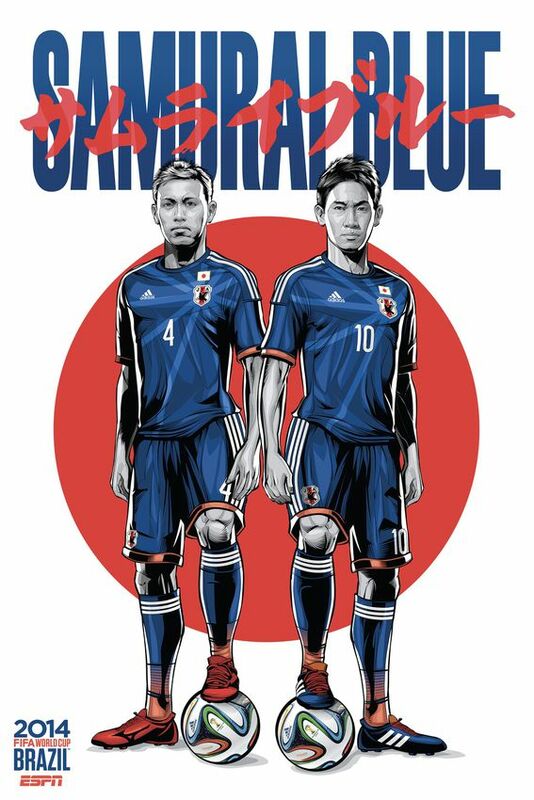 Adorned in “blue” uniforms, the Japanese squad honors the country’s historical warriors, and become “samurais” on the pitch. 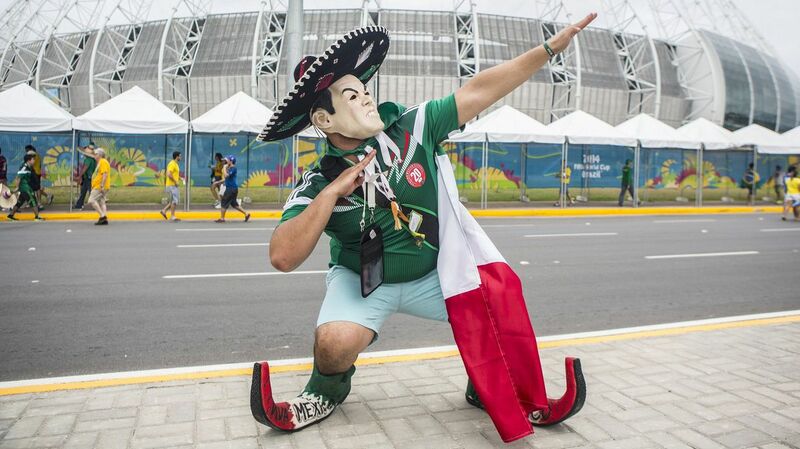 Every national team’s nickname honors its country, but Mexico’s nickname “El Tri” conjures up intense national pride. 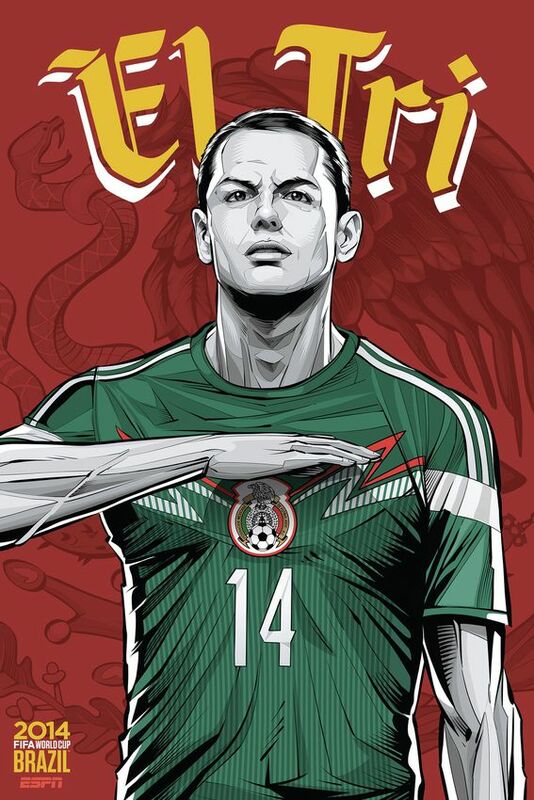 A shortened “El Tricolor,” Mexico’s nickname refers to the three colors — red, white and green — of the Mexican flag. Nigeria’s nickname is rooted in classic one-upmanship. The national team adopted the nickname “The Super Eagles” after losing to Cameroon’s “The Indomitable Lions” in the 1988 Africa Cup of Nations finals. Portugal’s nickname, “The Selection of the Shields,” refers to the five shields (the “quinas”) and the five dots within each shield (the bezants) on the country’s flag. 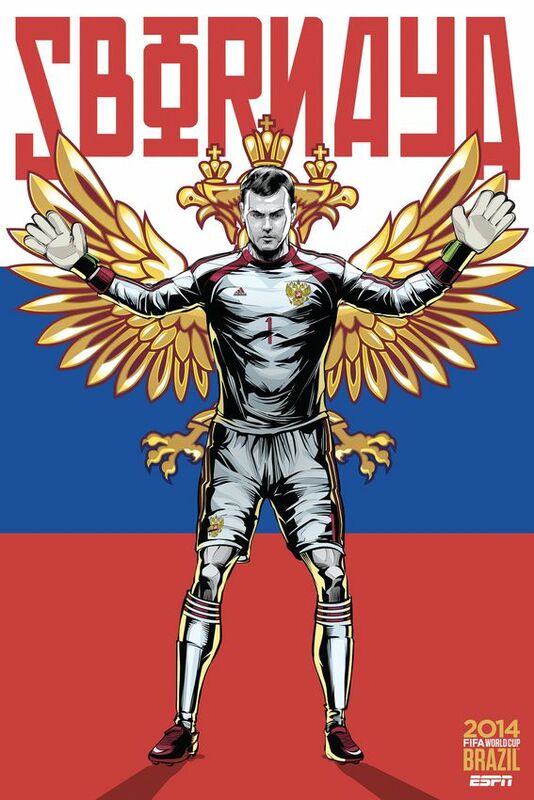 Short on originality, but strong and powerful in pronunciation, Russia’s “Sbornaya” means “National Team” in Russian. The “taegeuk” refers to the symbol on South Korea’s national flag, which represents a spiritual balance, similar to China’s yin and yang symbol. 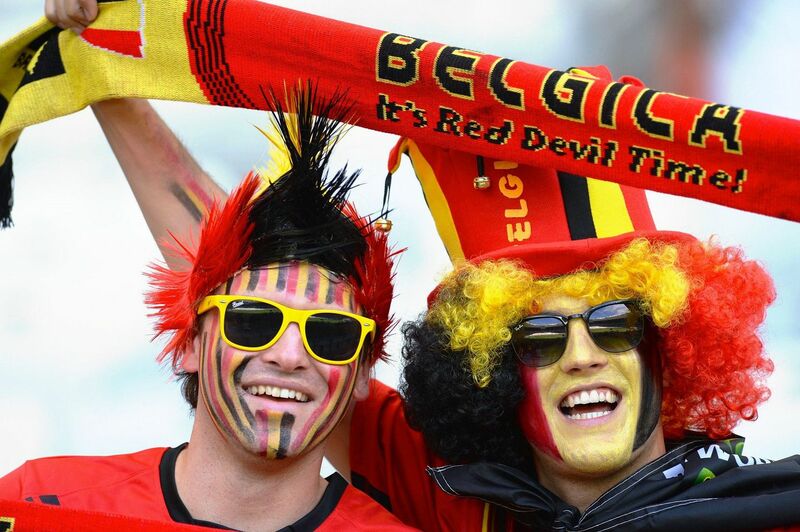 Also known as “The Reds” due to the team’s red uniforms, fans have called themselves the “Red Devils” since 1995. “The Red Fury,” Spain’s nickname, comes from two sources. 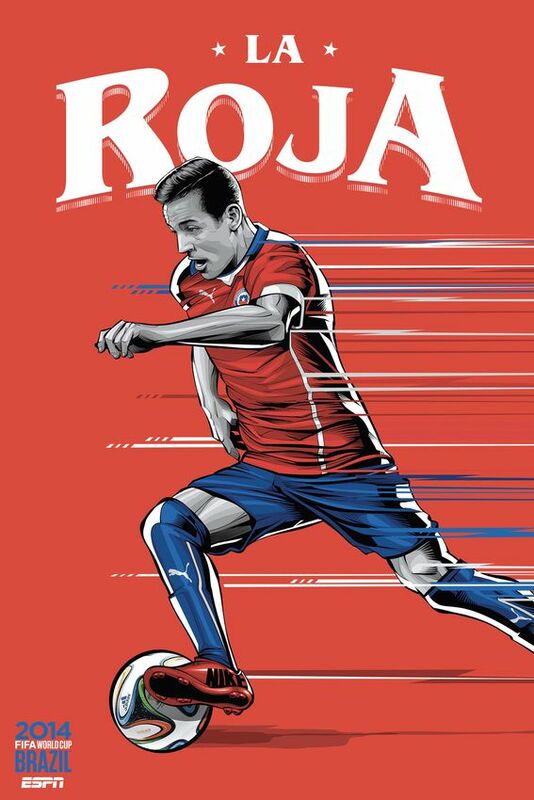 “La Roja,” like other team nicknames, comes from the colour of the team’s uniforms, while “La Furia” describes its “direct, aggressive, spirited style” of play in the 1920s — a “fury” on the pitch. The Swiss team kept its nickname short and to the point. 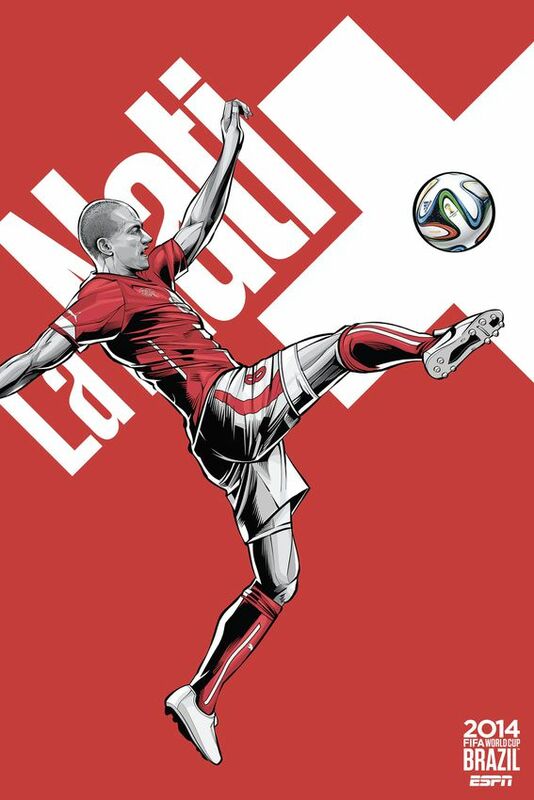 “La Nati,” means “The National Team” in French. Due to the many languages used in Switzerland, the team is also known as “Schweizer Nati” in German and “Squadra Nazionale” in Italian, but they ultimately all mean the same thing. 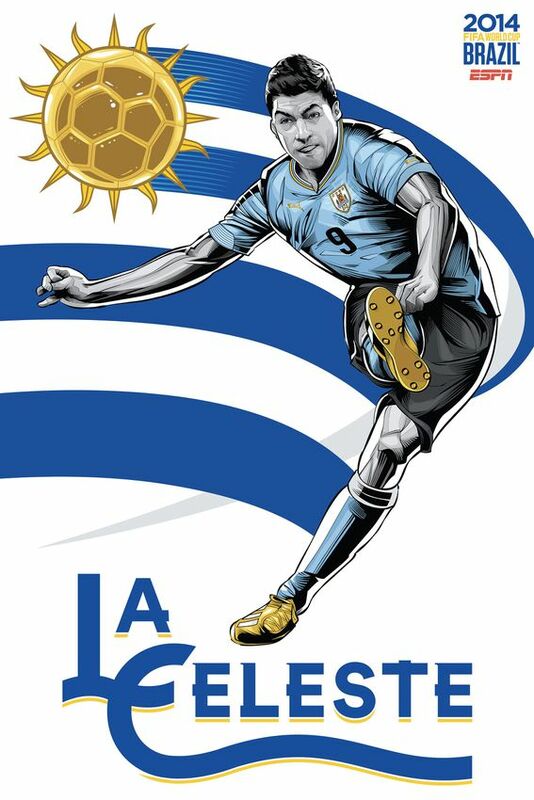 Not quite Argentina’s “La Albiceleste,” but equally as beautiful when spoken, Uruguay’s “La Celeste” also refers to the team’s sky-blue uniforms. 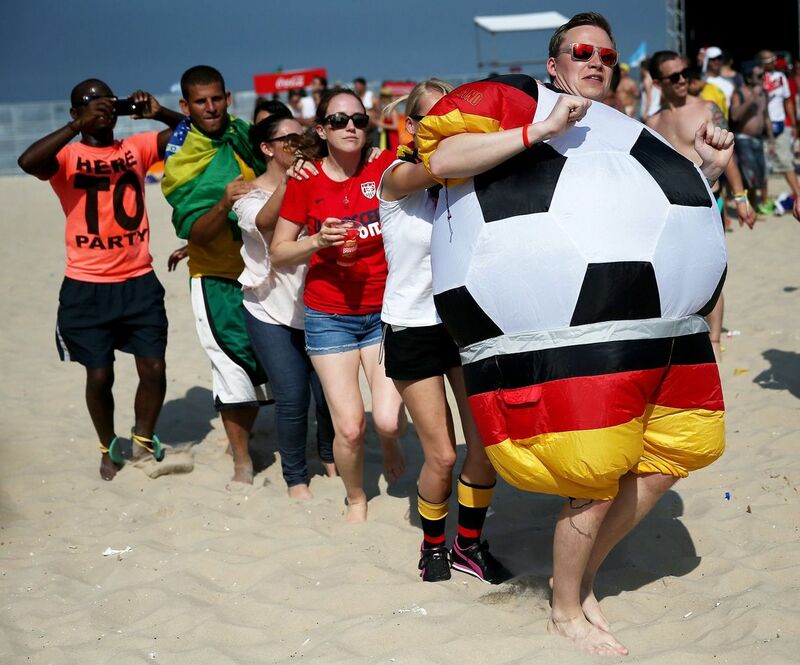 The most dedicated fans of the World Cup so far. 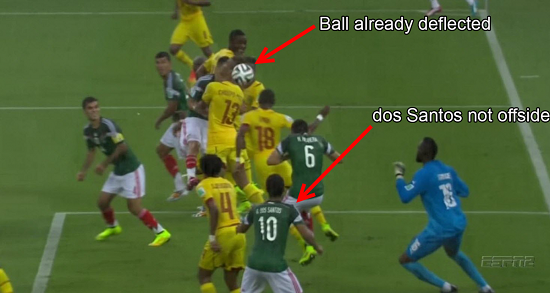 Soccer isn’t just the most popular sport in the world — it’s a religion to millions of people. 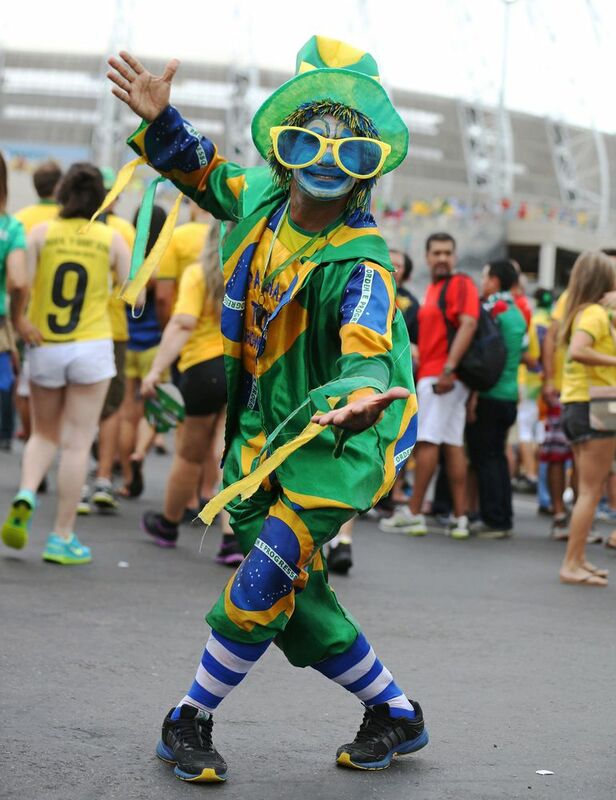 The devout followers who made the pilgrimage to Brazil for the 2014 World Cup came decked in their best gear to celebrate the tournament, and — most importantly — to cheer their squads to victory. You know you have a heck of an outfit when a pair of teal shorts is the most out-of-place article of clothing you’re wearing. 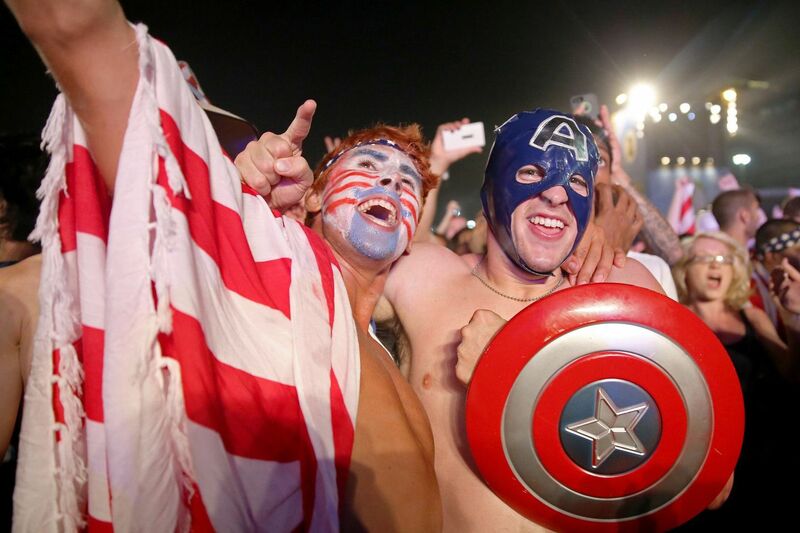 We’re not sure how you get a shield through airport security, but either way, these American fans are having a marvelous time sporting red, white and blue. The dual tiger action here is likely a tribute to Colombian striker Radamel “El Tigre” Falcao, who’s missing the 2014 World Cup while recovering from knee surgery. 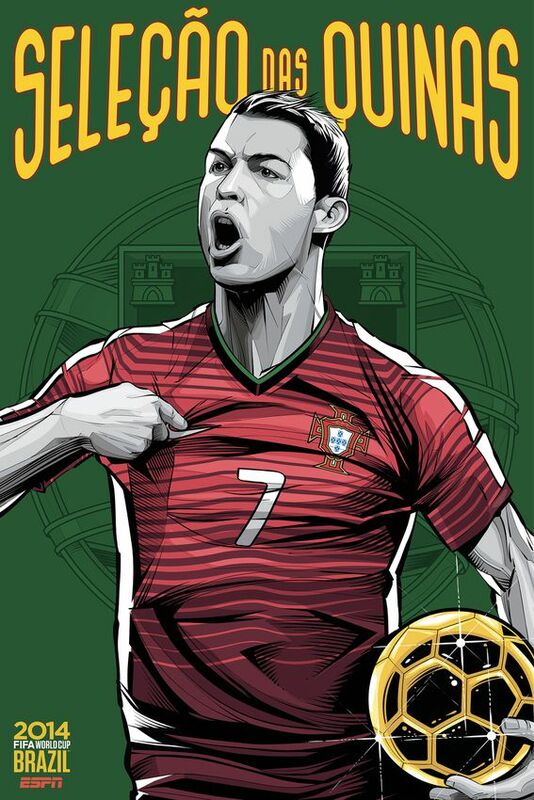 Plot twist: The soccer ball is filled with the wind taken out of Portugal’s sails when Germany crushed them 4-0. 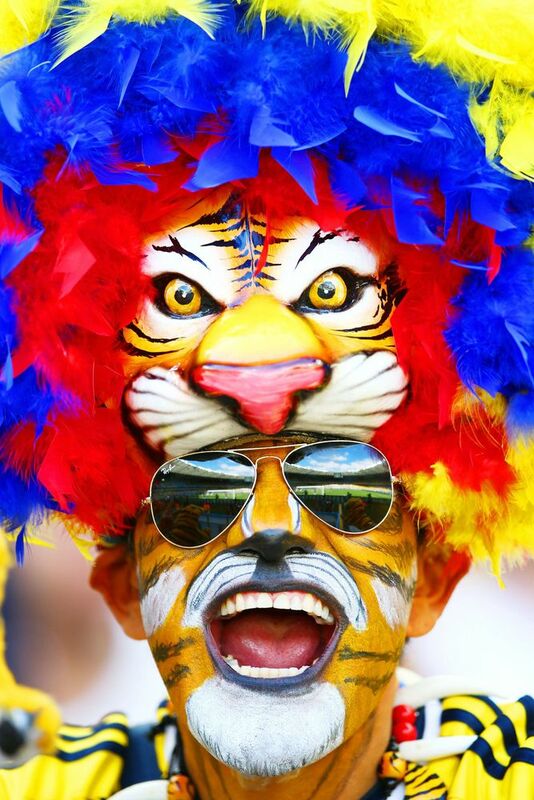 Some fans dress in their country’s colors. 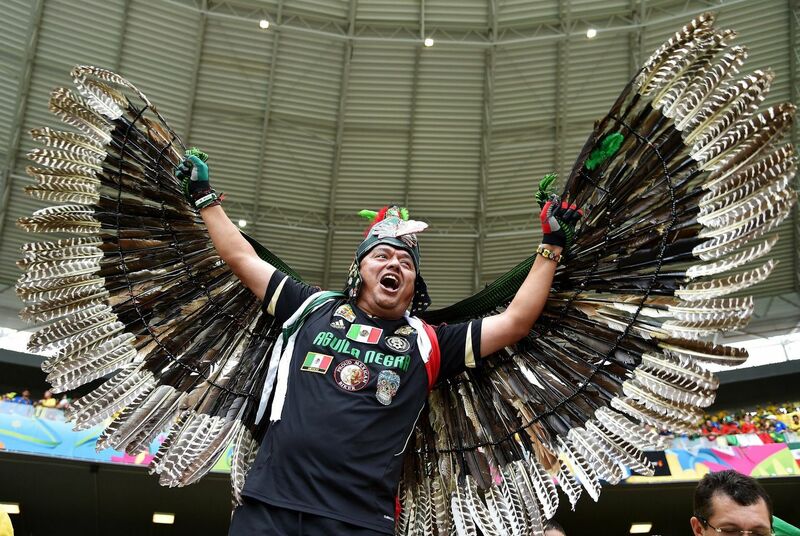 This fan made feathered wings, possibly a reference to the golden eagle from Mexico’s coat of arms. Feathered. Wings. Start them off early, right? 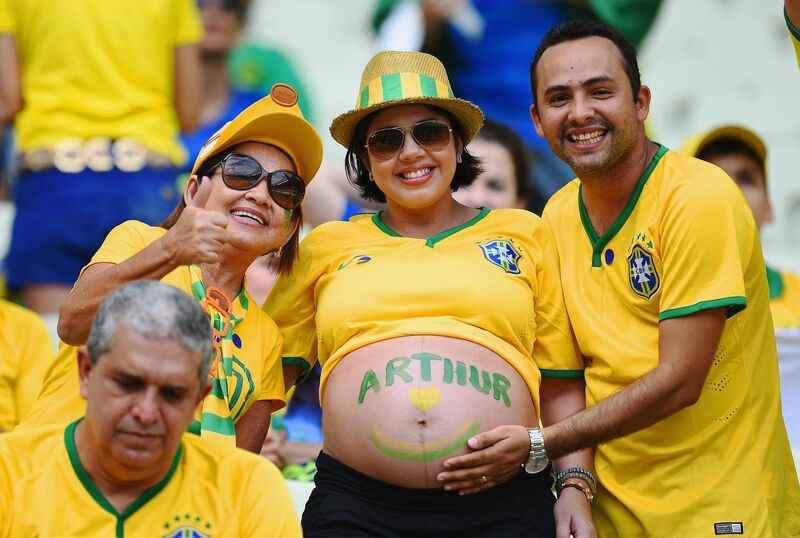 Arthur might be too young to remember the game, but at least he’ll have a great profile picture one day. 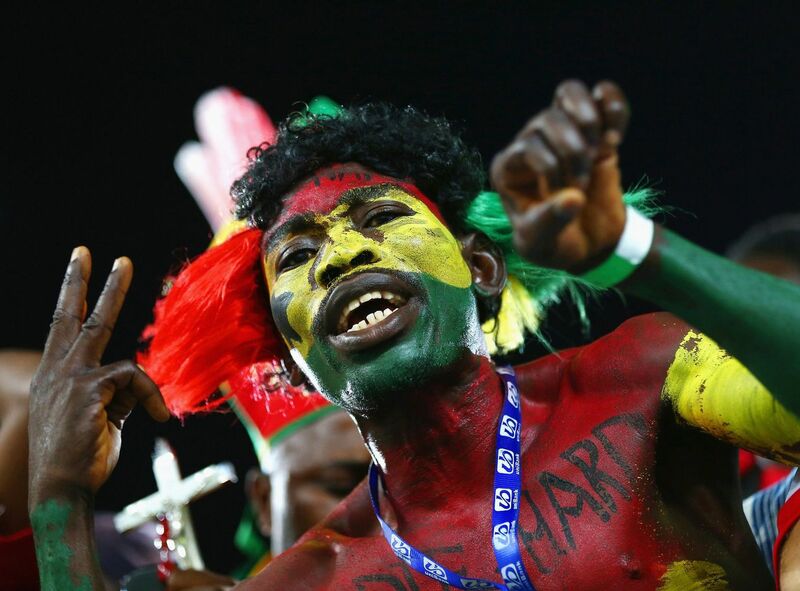 If the body paint and hair feathers didn’t give it away already, this Ghana fan wants the world to know how much he loves his team by writing it on his chest. 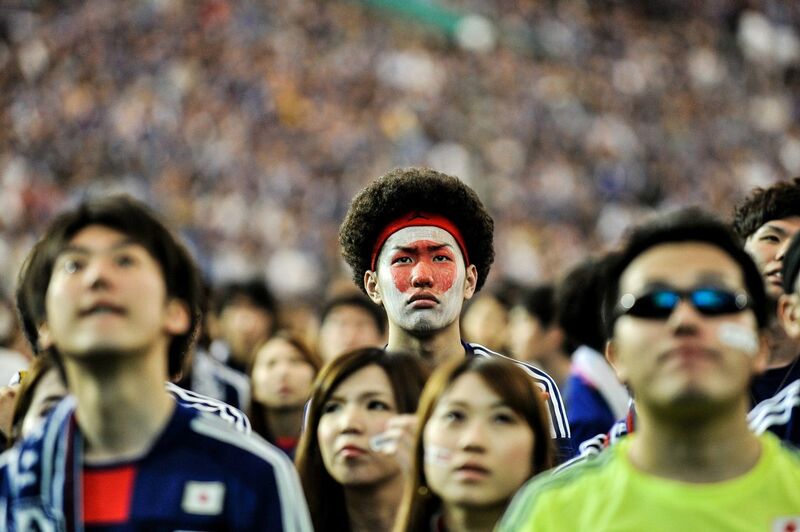 Losing the first game of group play like Japan did is an awful way to start the World Cup. Let’s hope that paint is waterproof if Japan gets eliminated. 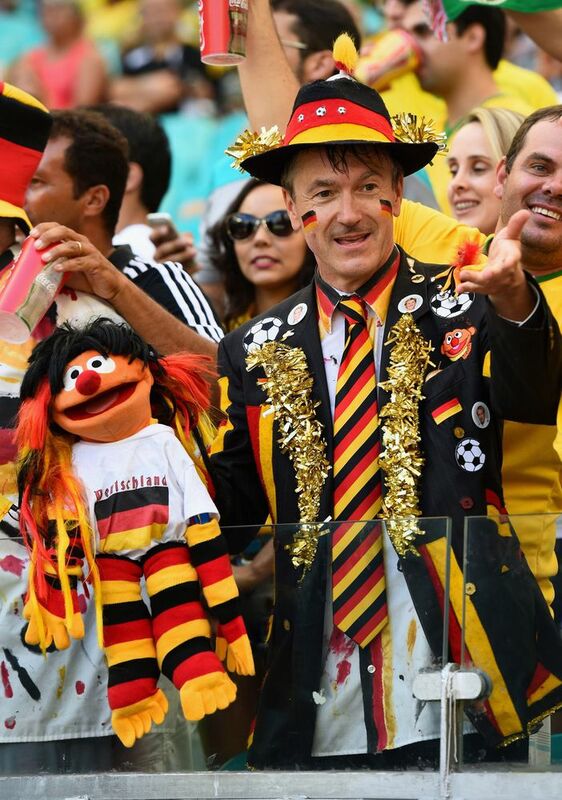 If you spend that much time dressing up a puppet for a game, it must mean a whole lot to you. If you spend that much time explaining the game to him, it’s time to go home. There’s getting dressed from head to toe in your country’s colors, and then there’s covering your entire body in them. 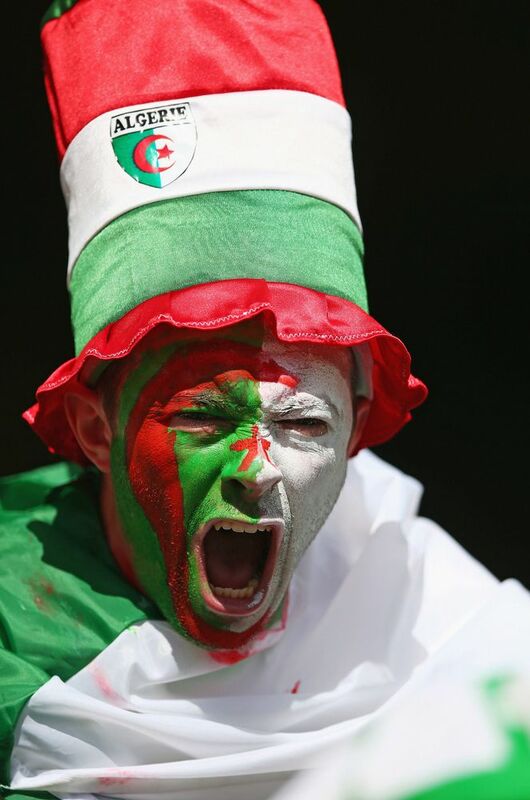 This guy is wearing Algeria’s flag in three different places, which is probably why he looks like he’s about to explode with patriotism. 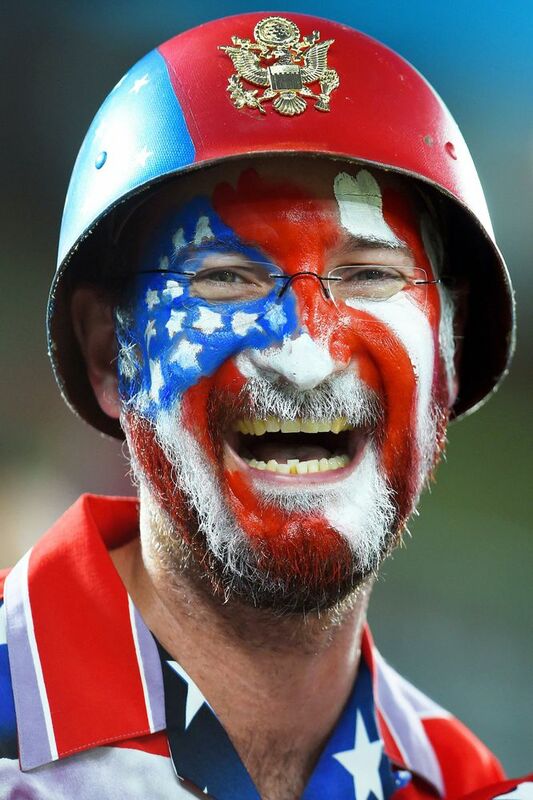 Not only was he able to paint a flag on both his face and his beard, but he even came prepared with some patriotic — and protective — headgear. 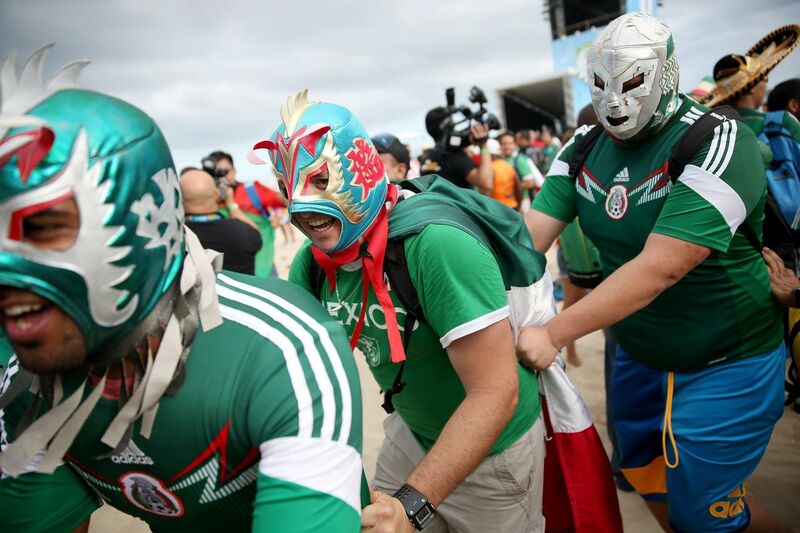 Wrestling and soccer might seem like a strange combination, but the lightning bolt motif on Mexico’s uniforms was actually inspired by the mask of Mexican-American WWE star Rey Mysterio. And this Random Scottish fan…. 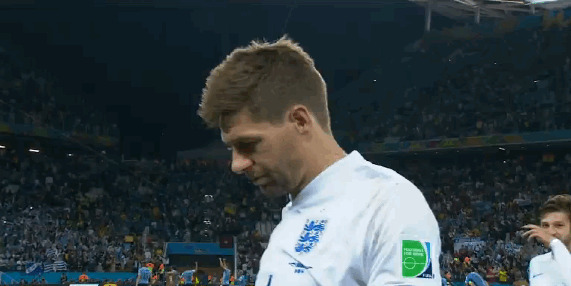 13 GIF’s that sum up England v Uruguay. 4. Bending, bending, bending … nope. 5. 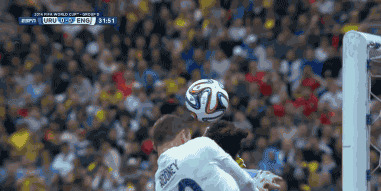 Rooney’s header goes high. The curse continues. 11. …but not for long. 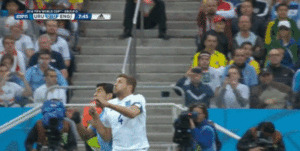 Suarez scores again. 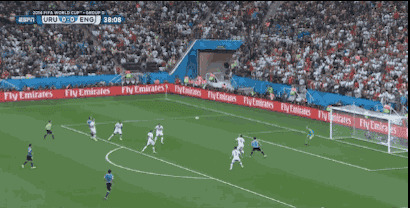 2-1 Uruguay. 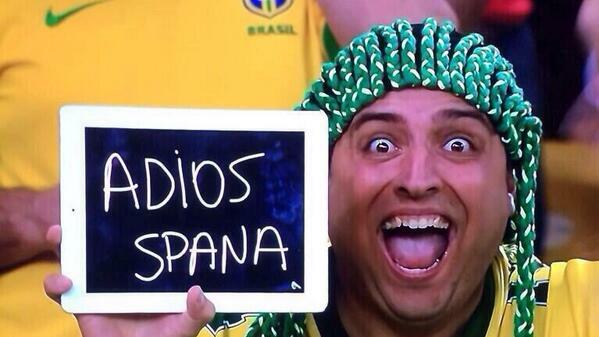 Former World Cup champions Spain have been booted out of the tournament, losing to Chile 2:0 in Brazil. 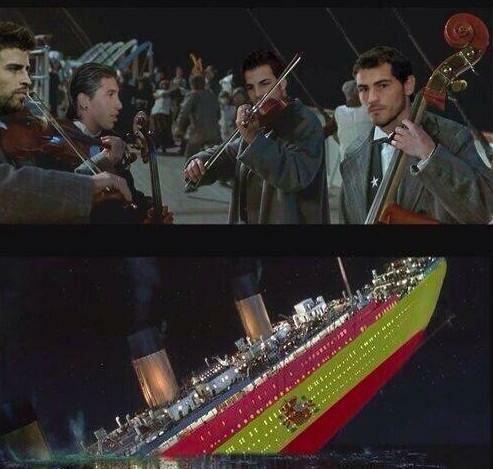 Their defeat has triggered a social media storm, with memes poking fun at the Spanish team flooding Twitter. 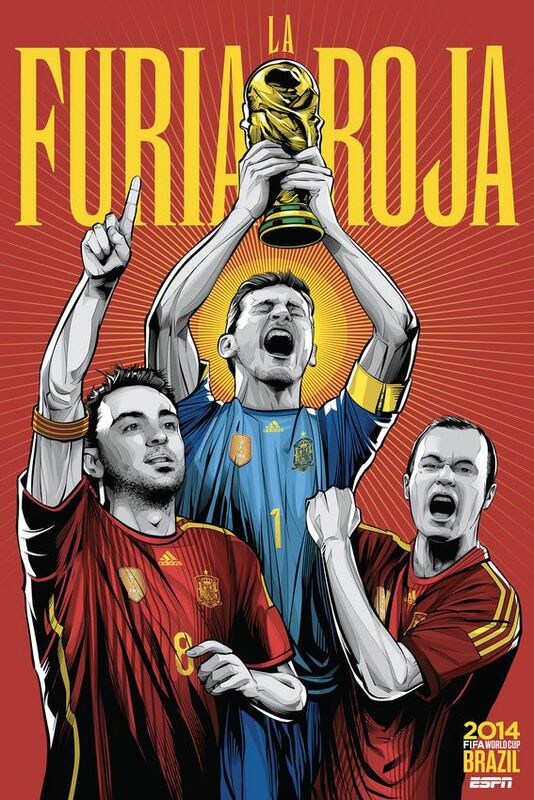 Spain’s performance at the World Cup this year has been dubbed “the great disappointment” by the Spanish media. The defending champions were humiliated right from the onset of the tournament, losing 5:1 to Holland. 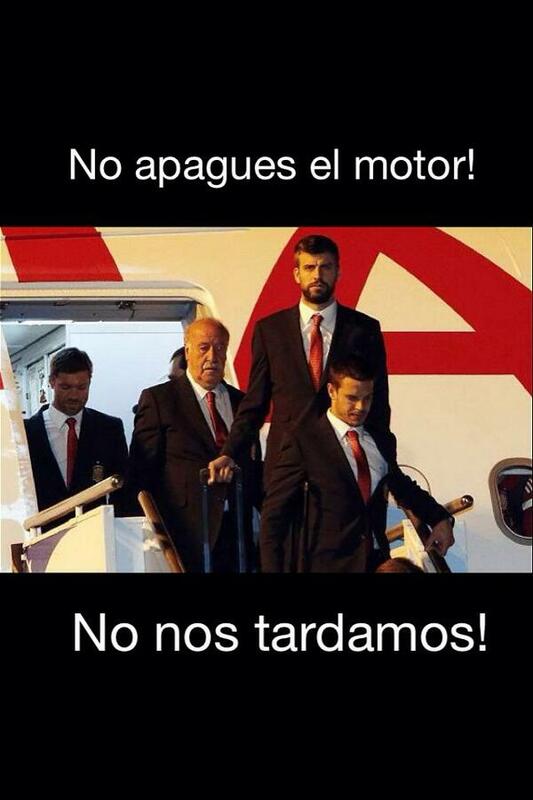 The Spanish team was finally knocked out of the running by Chile on Wednesday evening, prompting a wave of scathing memes on Twitter under the hashtag #CHIvsESP. 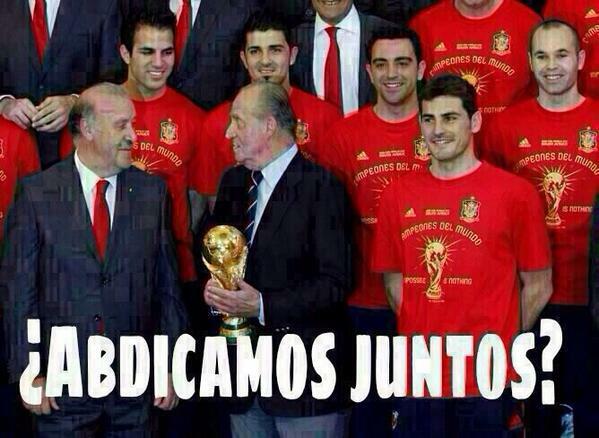 Continuing the theme, Twitter user @viniami2009 posted a meme of Del Bosque. 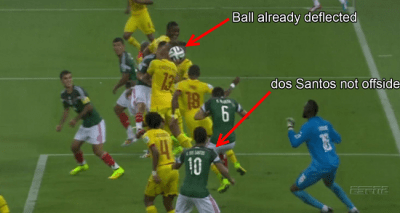 Disappointed fans targeted Spanish keeper Iker Casillas, who was responsible for letting in seven goals over the course of the first two World Cup matches. Fans also targeted Spanish striker Diego Costa, who changed his nationality from Brazilian to Spanish to play for the World Cup team. Following the match, elated Chilean football fans flooded Italia Square in the country’s capital, Santiago, to celebrate victory. The Chilean team now goes on to face The Netherlands on Monday. Bests of the 1st round! The first round of fixtures of the 2014 FIFA World Cup have now passed and given us a fair bit of excitement, goals, controversy and general all round awesomeness! 49 goals, 1 hat-trick, 3 red cards, only 6 clean sheets and only one African victory, here is our recap of the first round of fixtures. England and Italy were poised to offer up a tense, turgid affair, but instead offered a neutrals dream match as they produced what can safely be said is the game of the tournament so far. The match produced 30 shots at goal at a frenetic pace. England can feel hard done by on being the wrong side of the defeat as both sides produced some sublime football. The three goals were also all quality, one strike from range and the other two both from fantastic crosses. If ever a team could be proud of their performance in defeat, it was England. Italy on the other hand are well poised now to progress to the latter stages. World Cup 1st round review. 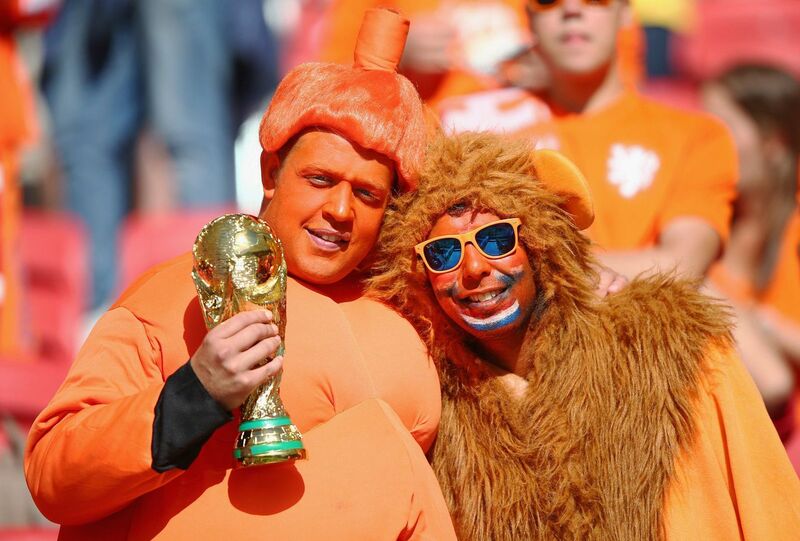 The Netherlands’ 5-1 defeat of Spain has been one of the most-watched matches of the tournament. A record 82 percent of Italian viewers watch Italy’s 2-1 win over England, as first-round matches involving Spain, the Netherlands and Mexico also top ratings worldwide. The 2014 soccer World Cup has been a ratings hit out of the box, with first-round matches this past weekend outperforming even the impressive figures of the last tournament in 2010. A series of high-profile matchups, including a rematch of the 2010 final between world champions Spain and the Netherlands, helped boost viewing figures, especially among neutrals. Approximately 11.2 million Spaniards, or 68.5 percent of the national audience, caught the game in which Spain was battered 5-1 by Holland. In the Netherlands, 7.5 million watched, an 82.9 percent share. 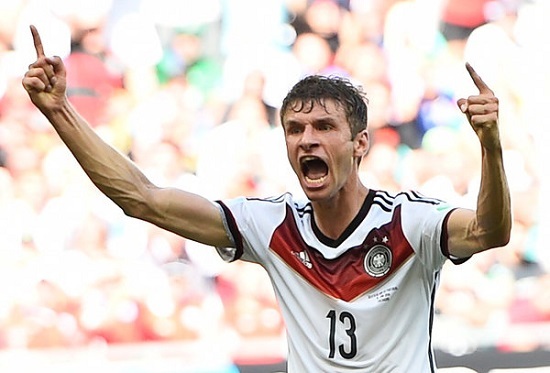 But even in neutral Germany, fully 14.6 million viewers, just under 50 percent of the audience, caught the game. 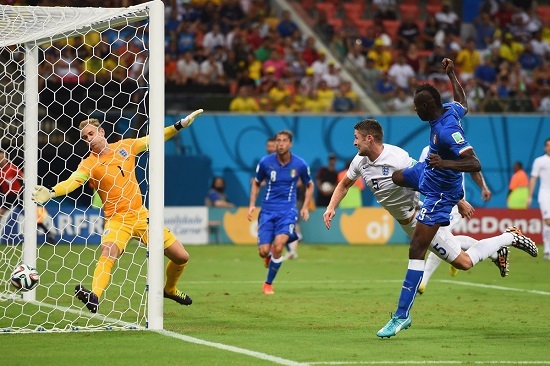 Italy’s 2-1 defeat of England in the opening match was a similar draw. Although the match kicked off at midnight Italian time on Saturday, 12 million soccer-mad Italian fans tuned in, for a staggering 82 percent share combined between state broadcaster RAI and satellite rival Sky Italia. It was the highest ever rating in Italy, in terms of market share, for a sporting event. BBC’s coverage of England’s first World Cup game averaged 11.5 million viewers for a 68.4 percent share, with the audience peaking at 15.4 million, a share of 76.4 percent, when England scored an equalizer to tie the match 1-1. The figures were down from England’s opening match against the U.S. in the 2010 World Cup, which drew an average 16.1 million viewers, a drop partly attributable to the late hour broadcast. England vs. Italy was also the most-watched first-round game, aside from the opening-night kickoff, among U.S. viewers on ESPN, where the match drew a 2.6 rating, or 4.62 million viewers. 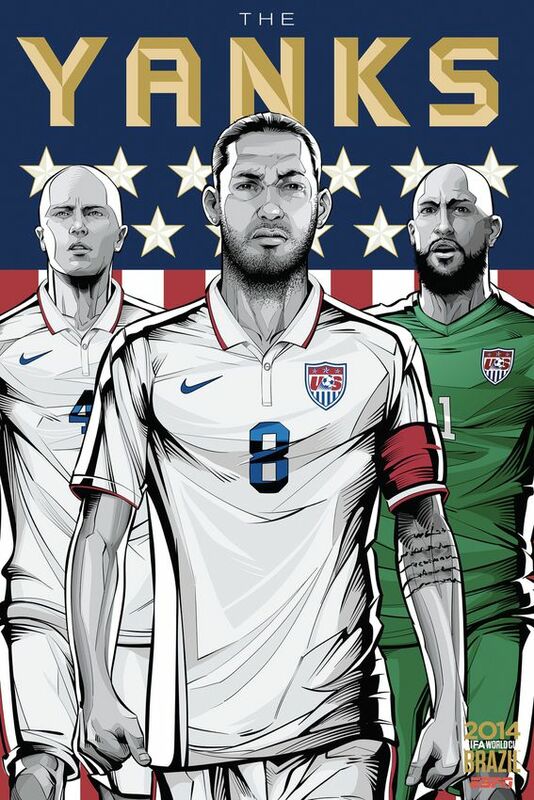 ESPN said the figure was a record for a regular first-round match not involving Team USA. 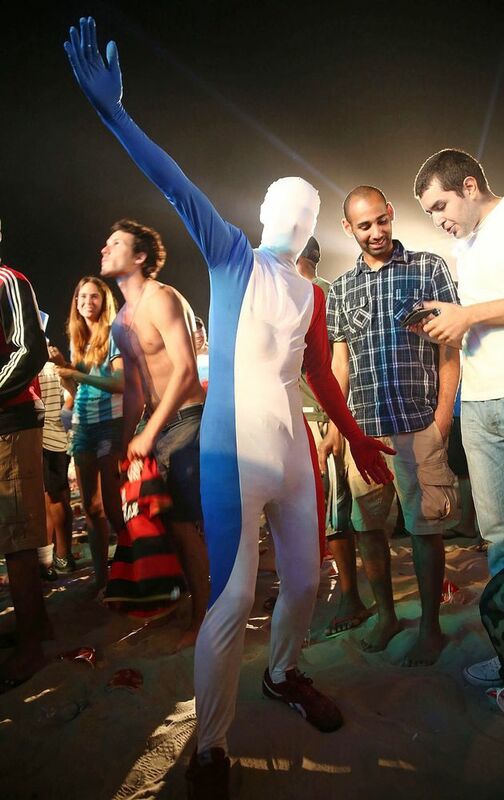 The largest TV audience in Europe was in France for Les Bleus’ opening match against Honduras, which France won 3-0. 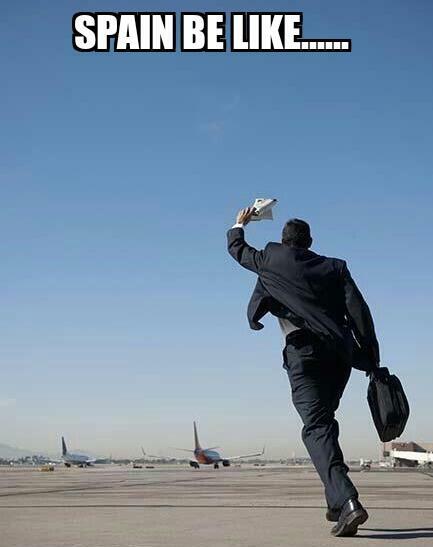 An average of 15.8 million French viewers watched on commercial network TF1, peaking at 17 million in the second half. The figures represent 57 percent of all French households and 71 percent of all French men under 50. 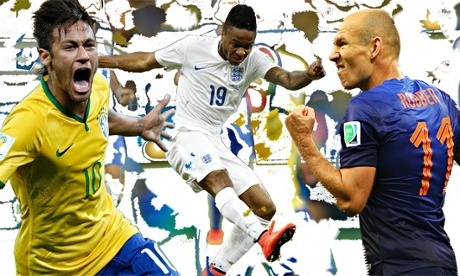 Neymar, Raheem Sterling and Arjen Robben have all made telling starts to the World Cup. Top of the pile after embarrassing a full-strength Spain side: the current world and European champions – easily the result of the round. From three to five at the back, it isn’t quite total football, but will keep even the best teams guessing. Miss out on the top spot only because their win was against 10 men. Should now steamroll the group and likely to face a relatively weak Group H runner-up in last-16, and France in the quarter-finals. An easy draw. Who needs strikers anyway? 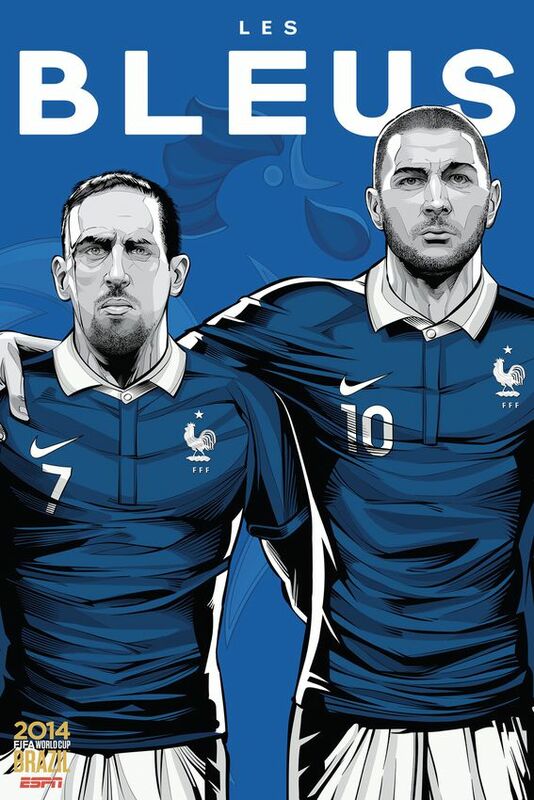 A new age for Les Bleus: only three of the team that thrashed Honduras played in 2010. Didn’t appear to miss Franck Ribéry and have arguably the easiest route to the quarter finals than any other team. Karim Benzema is on top form. Beat Costa Rica and the Azzurri all but progress from the group. Whisper it, but the early pessimism surrounding their chances echoes that of 2006. 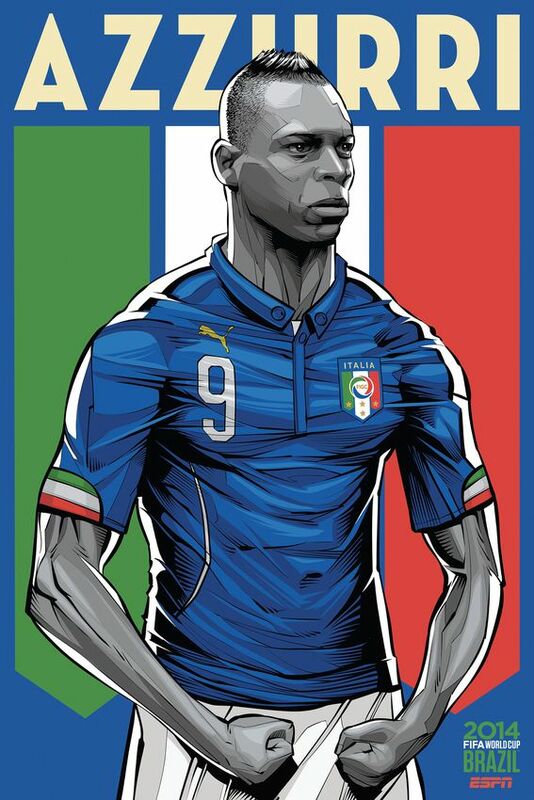 The return of Mario Balotelli’s mojo and Gianluigi Buffon may be back for the upcoming games. Remains the most frightening attack but signs against Bosnia-Herzegovina that their defence could come unstuck – surely Lionel Messi cannot bail them out every match. Or can he? The manager, Alejandro Sabella, still does not appear to know if 5-3-2 or 4-3-3 works best. Could not have hoped for a better start with their biggest ever World Cup win in a relatively weak group. Radamel Falcao may be absent but they celebrated their goals with a togetherness that usually carries a team deep into the competition. 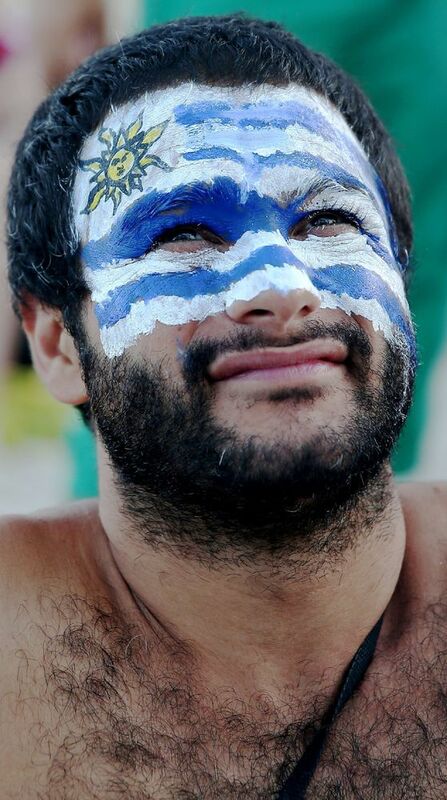 Greece, in fairness though, were desperately poor. No injuries (apart from Arturo Vidal but he is on the mend), no suspensions and three points on the board. 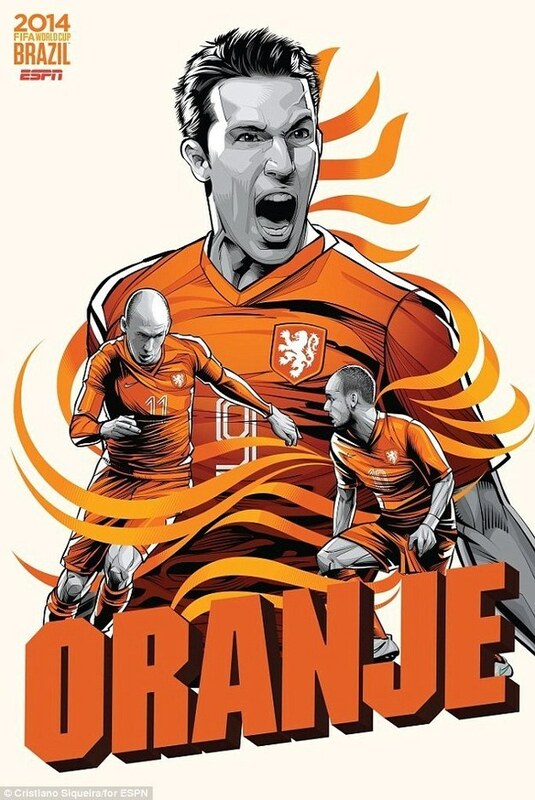 A tough group but likely only to need a draw against Spain to qualify and have a counter-attacking game not dissimilar from the Dutch technique which tore the Spanish apart. A win and a draw, even if they have been more laboured than fans would have hoped for. Home advantage means they remain the bookies’ favourites but Chile or Spain are likely last-16 opponents while Hulk remains an injury doubt and Fred out of form and out of touch. Despite a heavy defeat to Holland, only a fool would write off the holders and European champions, who also lost their opening game on their way to victory four years ago. The strongest squad in the tournament means that Vicente del Bosque’s promised changes should not weaken them against Chile. Sneaking inside the top 10 despite defeat in their opening match as they showed glimpses of brilliance against Brazil, only to be undone by refereeing decisions. Luka Modric has not trained because of a foot injury but should recover in time for Cameroon, while Mario Mandzukic returns from suspension. An opening victory followed by an impressive performance against the hosts has put Mexico in a decent position ahead of their final crunch match against Croatia, all without conceding a goal in the tournament so far, mainly due to the brilliance of Guillermo Ochoa in goal. Belgium deserved their win against Algeria even if the performance did not always live up to the high standards expected of one of the more favoured European teams at the tournament. A reasonably easy group on paper should see them progress. Eden Hazard was relatively quiet in the opening game but has the potential to be one of the stars. A defeat, but at least England looked like a team that wanted to reinvent itself, with Raheem Sterling key to the freshness. A nervy week ahead for Roy Hodgson: Thursday’s opponents Uruguay looked vulnerable in their opener, but Costa Rica may yet provide an unwelcome sting in the tail. Jorge Luis Pinto’s side shocked Uruguay in their first game but it was not as if they did not thoroughly deserve their victory. After a quiet first half they exploded in the second half with Joel Campbell the outstanding performer. May struggle against Italy but could well draw or even beat England in their last group game. A crucial win against a difficult opponent has put Sabri Lamouchi’s team in a strong position in Group C. Lamouchi was brave enough to start Didier Drogba, still not fully recovered from injury, on the bench and has hinted that Wilfried Bony will keep his place up front. Ivory Coast has quality in every department. A magnificent win, but with Jozy Altidore looking like he could miss the rest of the tournament, Jürgen Klinsmann’s decision to leave Landon Donovan out looks costly. USA’s defence, where Matt Besler is struggling with an injury, must again be on top form if they are to stop Germany and Portugal and progress. Ottmar Hitzfeld’s side were lethargic at times in their opening game against Ecuador but it feels as if this is a more attack-minded Swiss team than four years ago. The front players – Xherdan Shaquiri, Granit Xhaka and Josip Drmic to name three – have speed, trickery and youthful exuberance in abundance. Likely to progess together with France. 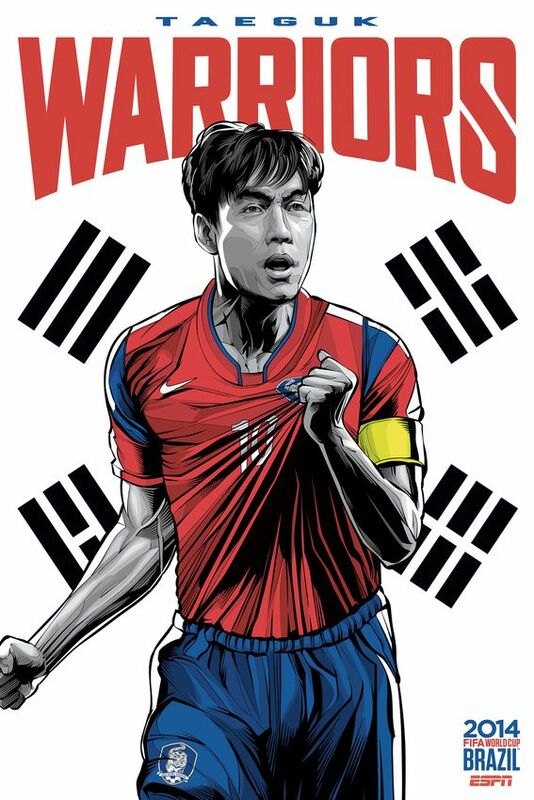 The South Koreans, under the shrewd guidance of Hong Myung-bo, were on top for large spells against the Russians and in, Han Kook-young , have one of the up and coming players of their continent. “The condition of players and organisation of team was good,” Hong said after the game – and what more can you ask for? 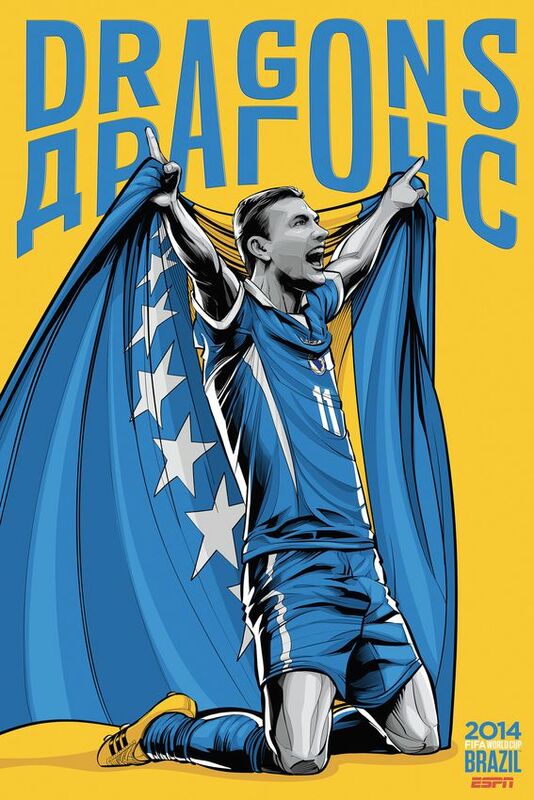 The Bosnians played well against Lionel Messi’s Argentina and arguably deserved to draw the game. Miralem Pjanic’s performance was one of the best in the opening round of games and, with Nigeria and Iran coming up, Bosnia should be hopeful of progressing. Fabio Capello’s side bounced back from Igor Akinfeev’s horrible mistake to draw their opening game but it was a pretty lifeless performance. 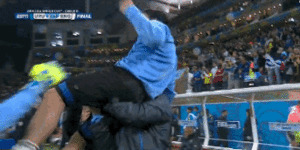 Belgium and Algeria are next up: Capello, with his massive salary, could be looking at an early exit. A nightmare start for Portugal, losing Pepe to suspension and Fábio Coentrão and Hugo Almeida to injury. But don’t write them off yet: beat Ghana and USA (who suffered their own injuries in the opening game), as they still should with a fit-again Cristiano Ronaldo, and they are through. What a disappointing opening performance by Uruguay, encapsulated by Maxi Pereira’s late and ugly kick on Joel Campbell. They have bounced back before, of course, and did so during the World Cup qualifying, and may have a certain striker back against England. Japan took an early lead against Ivory Coast but were disappointing in the end. Alberto Zaccheroni’s side defended too deeply and, once the opponents had thrown on Didier Drogba and switched to 4-4-2, were overrun in the end. Progressing now will be very difficult. Reinaldo Rueda’s side were somewhat unlucky to lose to a late Swiss goal in a helter-skelter end to their opening game. Jefferson Montero and Antonio Valencia played well in the wide positions but they may need a result against France now to go through. Ghana will be kicking themselves after losing their first game despite Andre Ayew scoring an 82nd-minute equaliser. Predictably, reports of a player revolt soon emerged but that has now been denied by the Ghana Football Association. Vahid Halilhodzic’s side did everything that could have been asked of them against Belgium but still ended up on the losing side. The coach was furious about a foul in the build-up to Belgium’s winning goal but will have been heartened by his side’s performance and espcially that of the excellent Sofiane Feghouli. Hopes were high in Nigeria before the Iran game but all that positivism evaporated within 90 insipid minutes against a defensively well-organised Iran side. 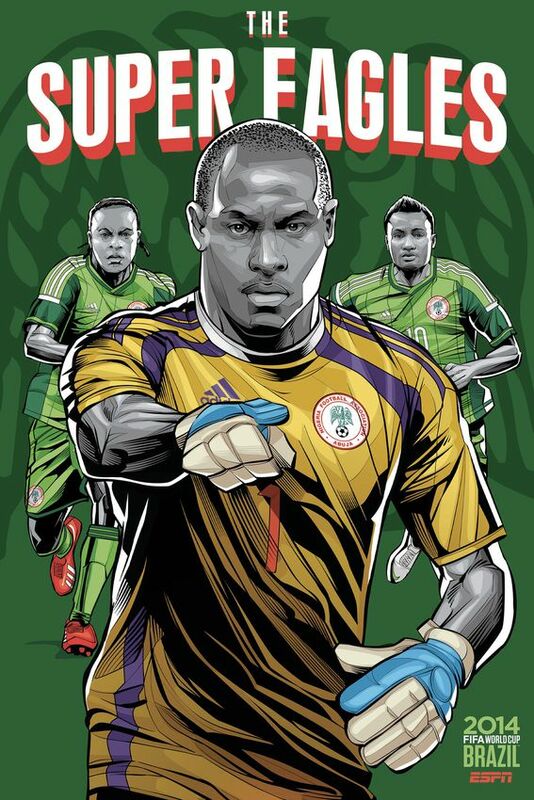 All Nigeria’s attack-minded players were disappointing and Stephen Keshi has a huge job on his hands now. They had to win that game. 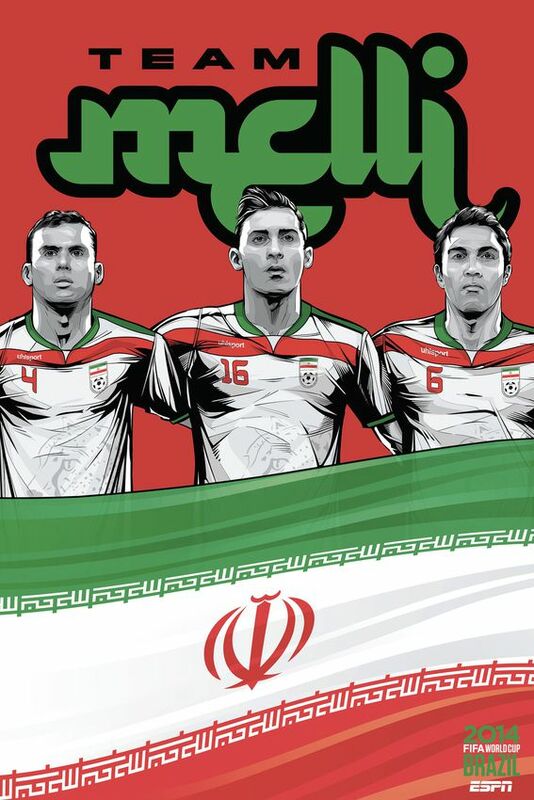 Arguably the weakest side at the tournament, Carlos Queiroz’s team must be given credit for the way they battled for a draw against the African Cup of Nations champions. 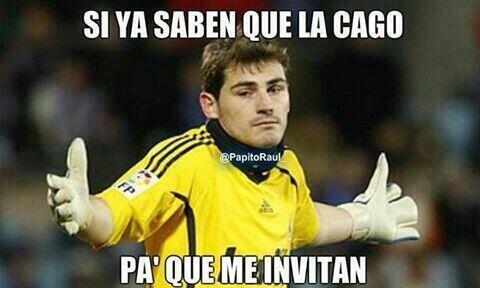 But with Argentina and Bosnia to come, do not expect this stubbornness to last. 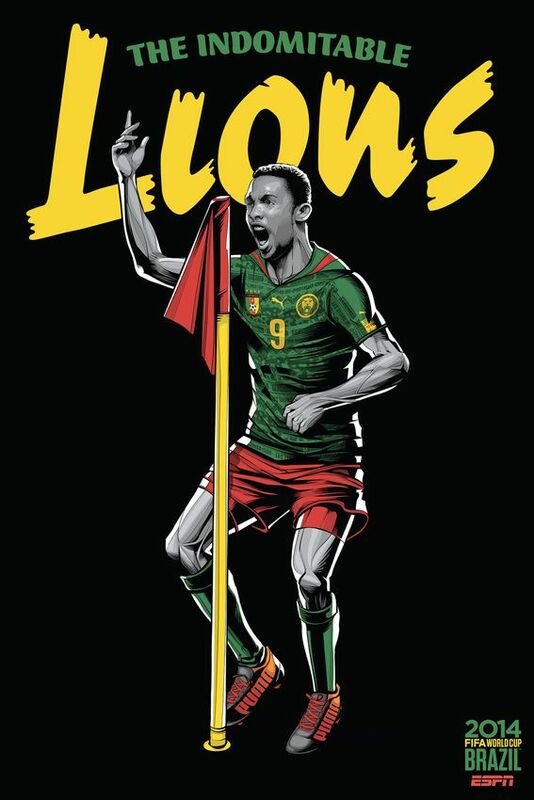 The Indomitable Lions proved anything but against Mexico and were lucky not to have lost by more after a couple of dodgy offside decisions. Samuel Eto’o’s knee injury rules him out for the Croatia game and without their talisman and captain, Cameroon look set for an early exit. 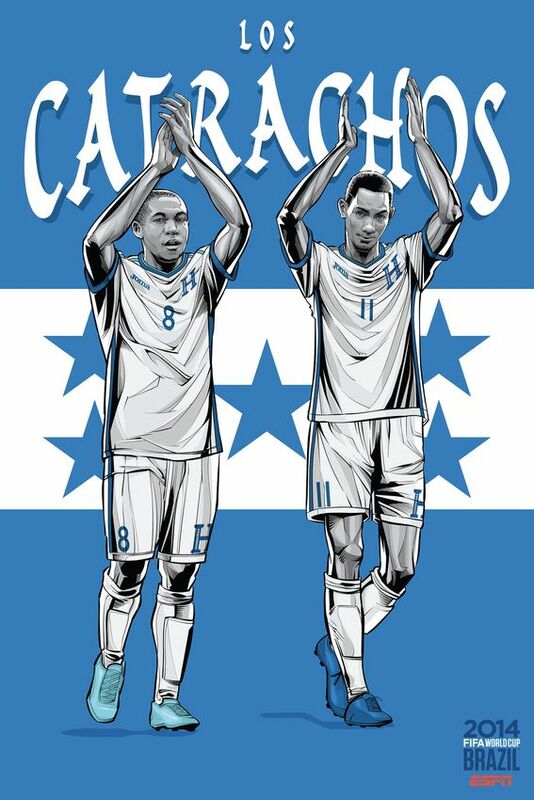 There was nothing that was good about Honduras’s opening game. 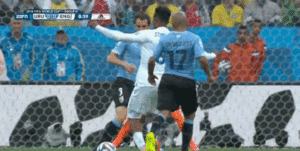 They were poor and they were far too physical and in the end France were lucky to escape without any serious injuries. 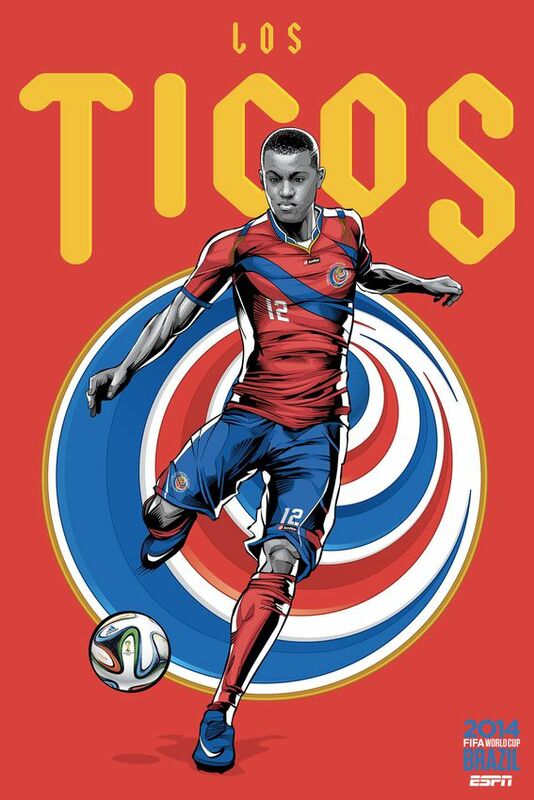 Wilson Palacios is suspended for the next game against Ecuador. Deep divisions exist with both the manager and captain scathing of the team’s “ridiculous” performance against Colombia. With an out-of sorts forward line, they already look doomed. Less than convincing in qualifying for the tournament, the Socceroos showed some encouraging glimpses against Chile but were ultimately well beaten. 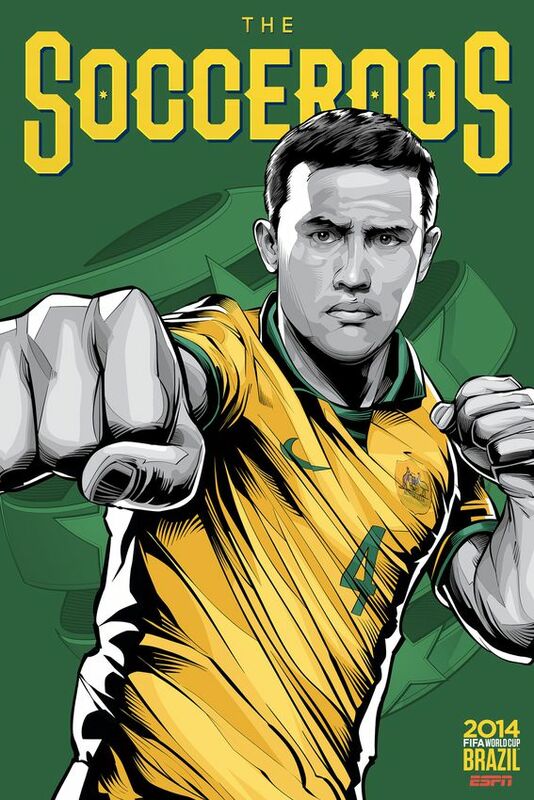 With the prospect of Holland and Spain still to come, it is all but certain Australia are heading home next week.